As I mentioned in lecture today, I’ve decided to allow those of you who are a little bit reticent about speaking in tutorial/lecture to supplement your participation grade via commenting on entries to this blog. 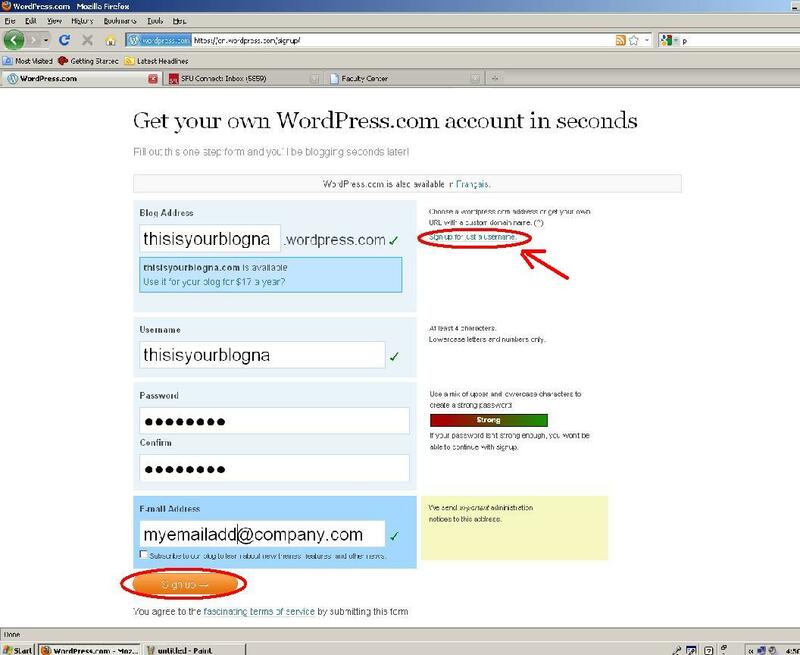 In order to do so, you’ll have to sign up for a wordpress user account. To do so, go to and fill out the form. Make sure that you’re only signing up for an account rather than for a blog as well (unless, of course, you’d like to create your own blog). You can create a user name that is pseudonymous if you’re wary about publicly revealing your name. If you choose a pseudonym, make sure you e-mail me to let me know what it is. In order to sign-up for a user name only, make sure that you click on the “sign up for just a user name” link after going to the link above. See the arrow in the diagram below. Happy commenting! !